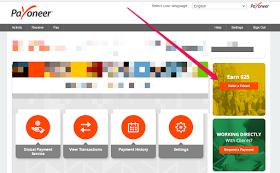 To get $25 Payoneer bonus for Just sign in to your account at www.payoneer.com and click on the "refer-a-friend" banner on the sidebar as seen in the screenshot Above: After clicking it, you will be redirected to a page where you will see your unique link. 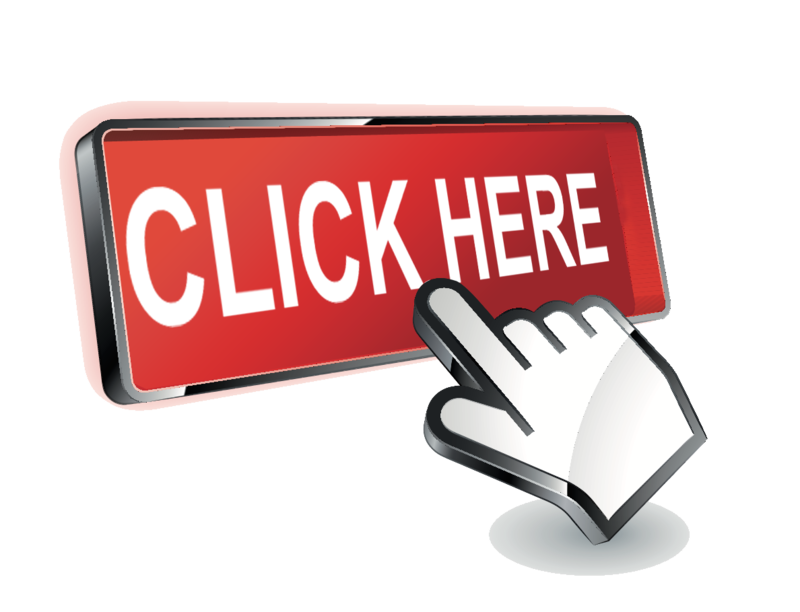 Click "copy" and start sharing it through blog posts, articles, emails, Facebook posts and tweets. You’ll get $25 for every new friend that signs up to Payoneer through your link when he/she receives a total of $100 into his/her Payoneer account. If you don't have an account, Sign Up for Payoneer Account. You can monitor your referral stats directly inside "My Account". 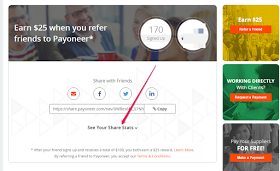 To view statistics regarding your Refer A Friend activity, sign in to your Payoneer account, click on the "refer-a-friend" banner and click "See Your Share Stats". the the amount of money that you have earned, to date, in the Payoneer "Refer A Friend" program. Click HERE to open FREE Payoneer account now.